Ever since I created a pinterest account, the images are endless and one of the categories I love is ‘Food & Drink’ (Warning: Do not open that link if you are hungry because it is going to accelerate that feeling of hunger). So I created a pinboard called ‘Foodporn’ which is comprised of all the recipes I want to recreate or just visually admire. The other day I glanced at my pinboard and I decided to attack one of my pins which was Mozzarella sticks. It seemed ideal for I had most of the ingredients, it looked yummy, and the recipe seemed simple enough. 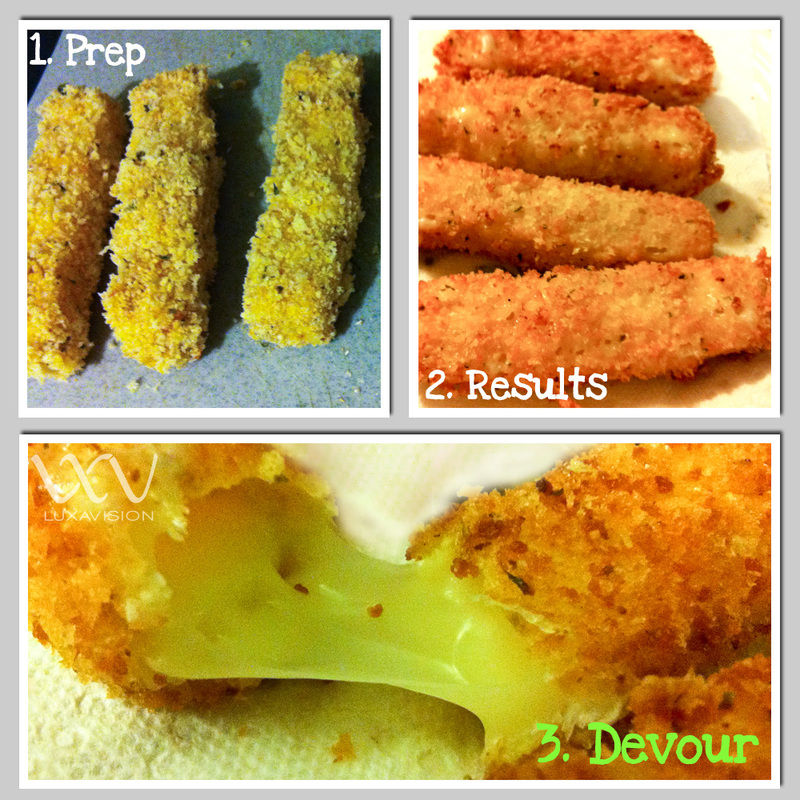 So I followed the recipe with some modifications and the prep work was done, now I had to fry the mozzarella sticks. They looked like they should (photos below*), as in the picture from skinnytaste.com and at the restaurants/bars I have gone to eat at but the actual taste is what really defines if I cooked the recipe accordingly. So the first bite to me seemed delicious but to confirm this, I needed taste testers – my mother and brother. They are the most honestly brutal people I know for they dont’ spare my feelings at all, especially when it comes to food. So they gave the thumbs up of approval. When trying a new recipe, I really have no expectations of it tasting as good as the pictures or recipe. If it tastes yummy, I am surprised, if it doesn’t, then I will try to modify the recipe or just try something new. I just get that sense of satisfaction when I try a new recipe and the results are a stimulated palate and happy belly. On top of that, I can share that feeling with my friends and family. Try a new recipe today! If the results are above your expectations then the satisfaction that results is amazing! That’s just one of the simple things in life that makes me feel joy! *Note: Sorry for the poor quality photos, I didn’t expect to make a blog post out of it. 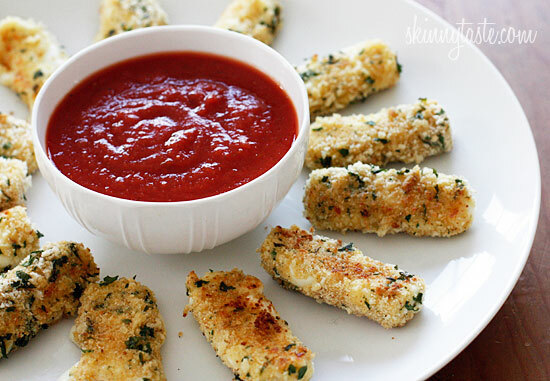 I LOVE mozzarella cheese sticks! Thank you so much for sending me this blog in the middle of the afternoon when I’m close to eating my arm cus I’m so hungry.